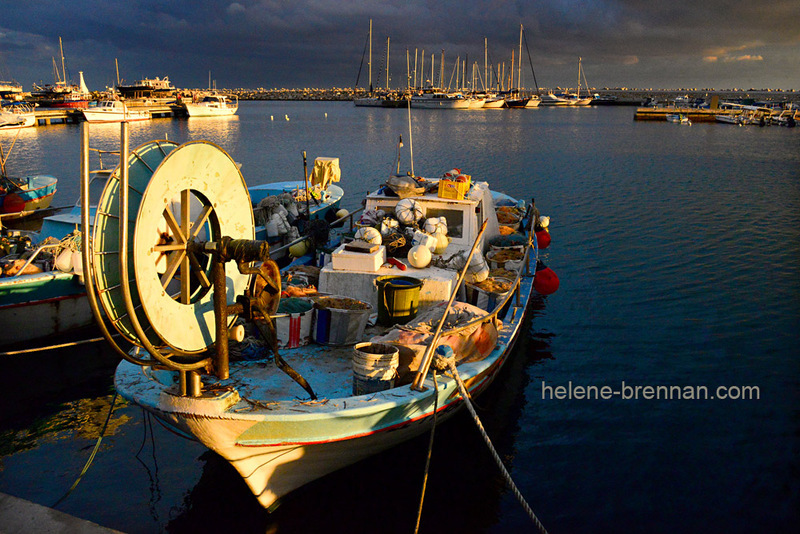 The sun was setting and the sky was dark and threatening, at Zygi Harbour, and the traditional, tidy, charming, fishing boats were so bright and colourful. Unframed, no mount. Please enquire about framing options.